Jamie wanted to try something different in the cookie department this week . 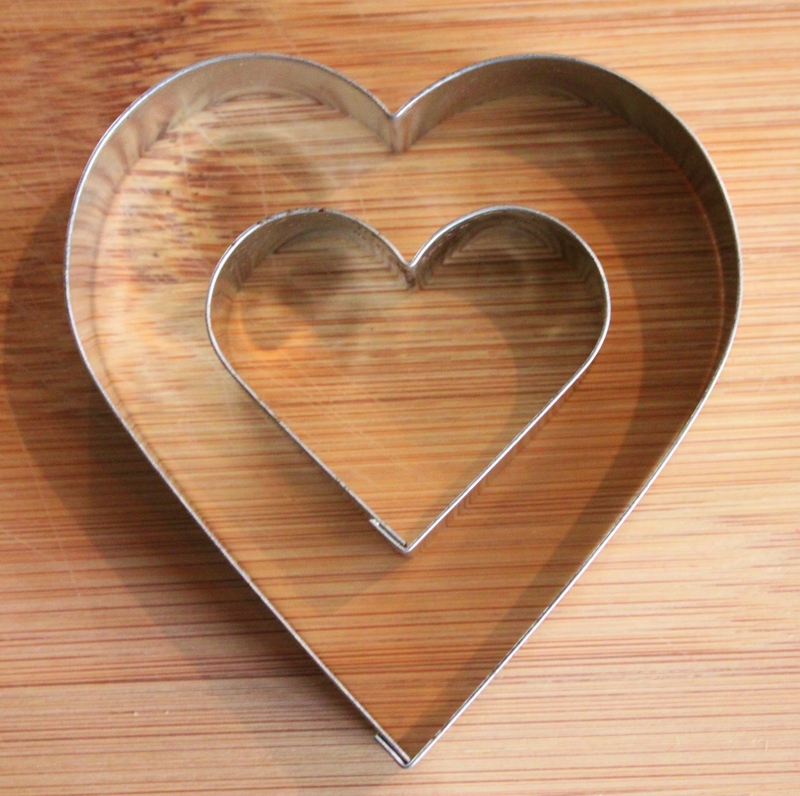 …and we had several different heart-shaped cookie cutters. In a large bowl, cream together butter and sugar until smooth. Beat in eggs and vanilla. 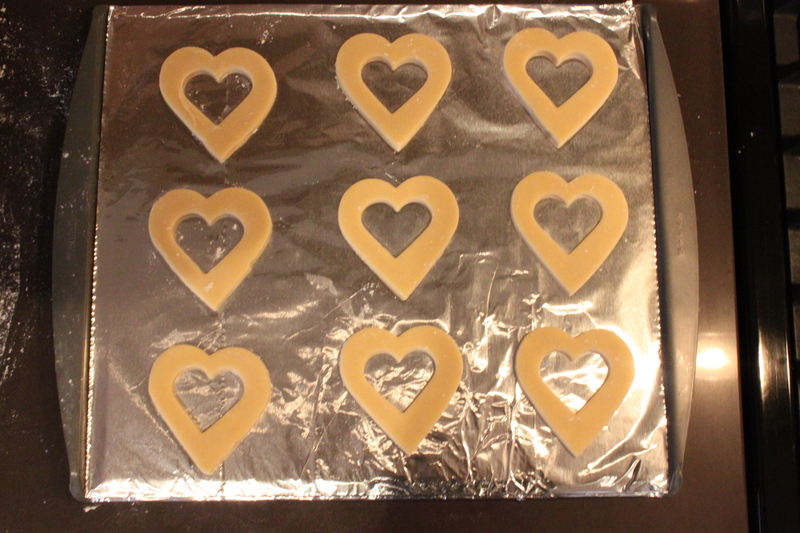 Slowly stir in the flour, baking powder, and salt. 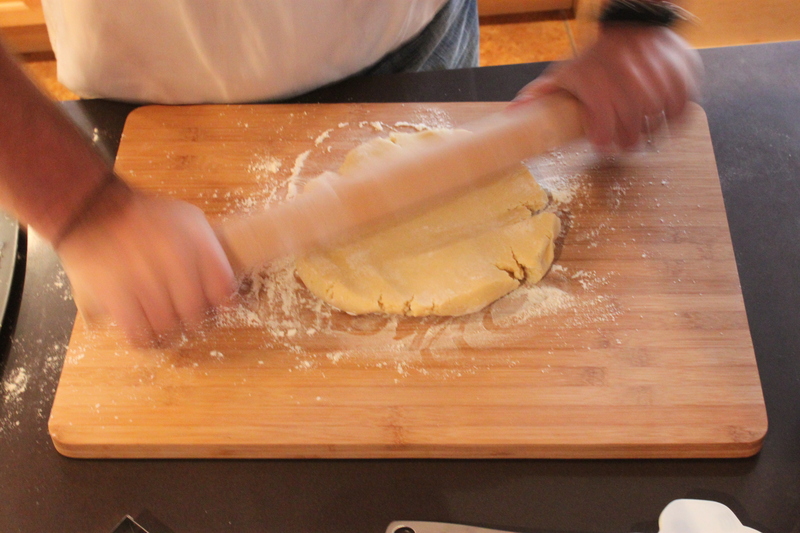 Cover, and chill dough for at least one hour. Jamie chilled his dough overnight in the icebox then rolled it flat (about 1/4 inch thick) on a well floured cutting board. 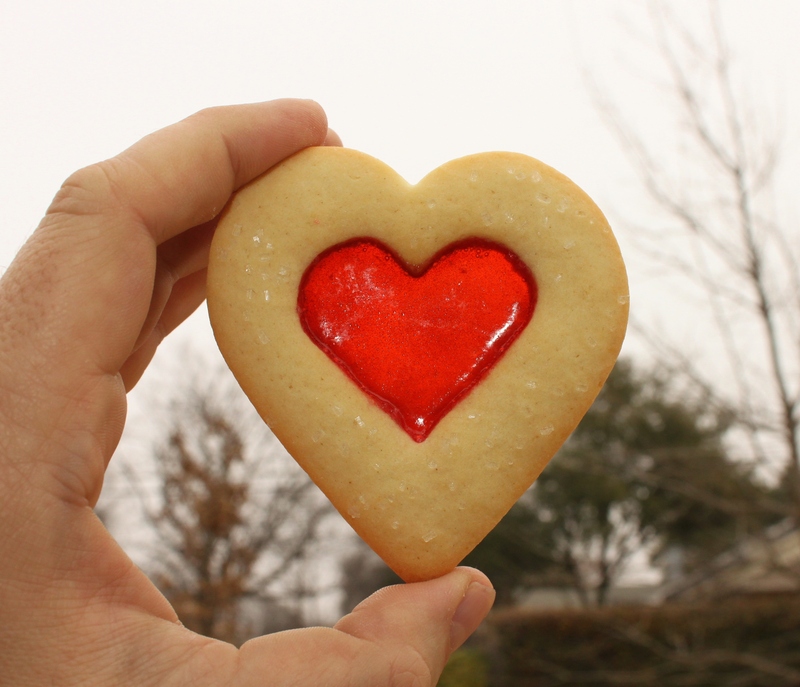 He started with the large heart cutter……. 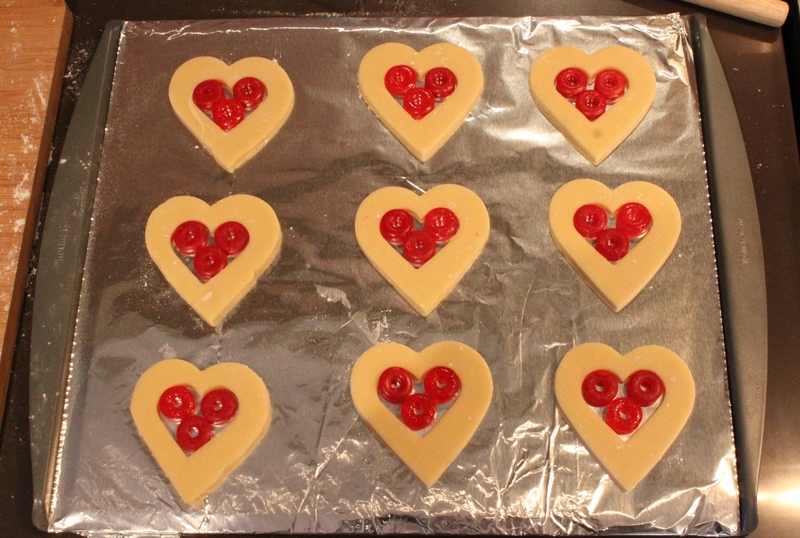 Then placed them on a foil-wrapped cookie sheet, before cutting out the smaller heart. 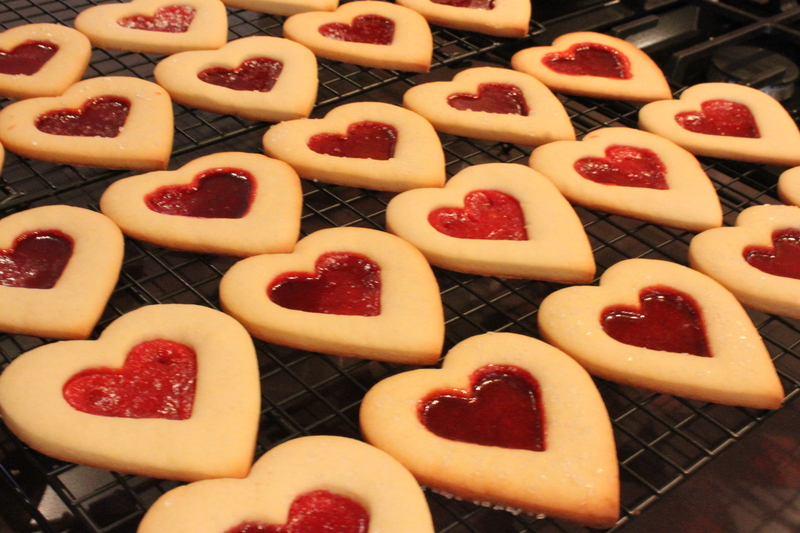 They don’t spread much, but be sure to space them evenly on the cookie sheet. “Why foil?” you may ask. 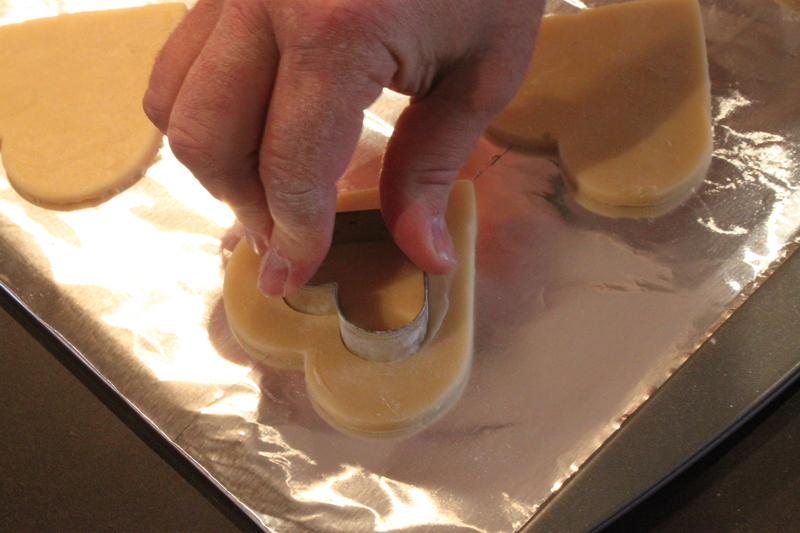 The foil makes it easier to peel the melted candy off after the cookies cool. 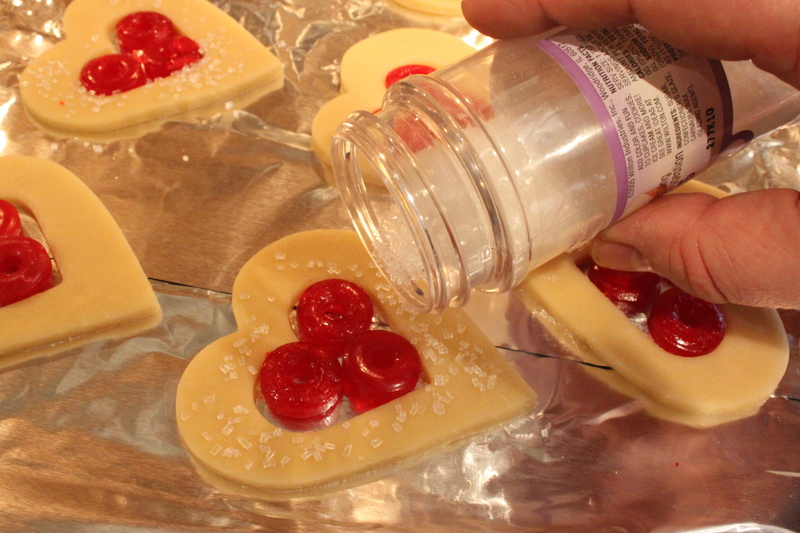 Now the fun part….adding the Wild Cherry Lifesavers. 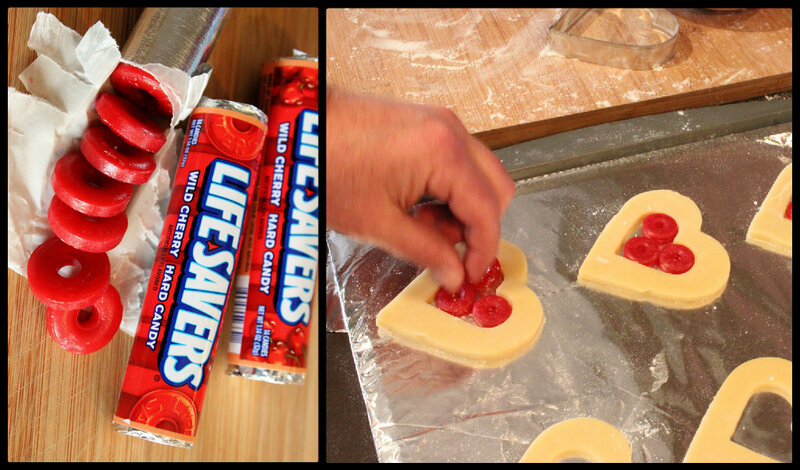 We found that 3 lifesavers fit inside the small heart cut-out just perfectly. Be sure to use fresh lifesavers. Some of ours melted a little cloudy, and our only guess as to why is that they may have been a little…..ummm, old. 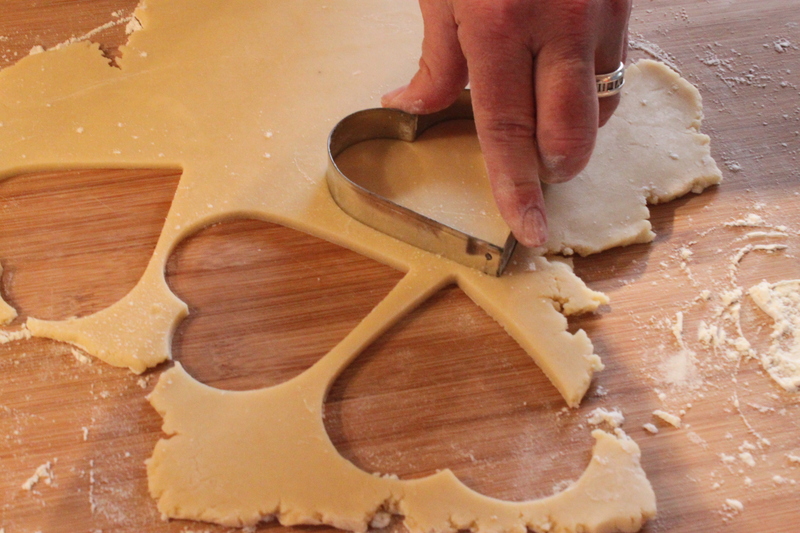 For texture, Jamie sprinkled each cookie with just a little bit of chunky sugar. Here’s a good trick too, chill the whole cookie sheet of unbaked cookies for about 10 minutes before baking. Into the 400 degree oven for about 6-8 minutes, our thick cookies took about 10 minutes. 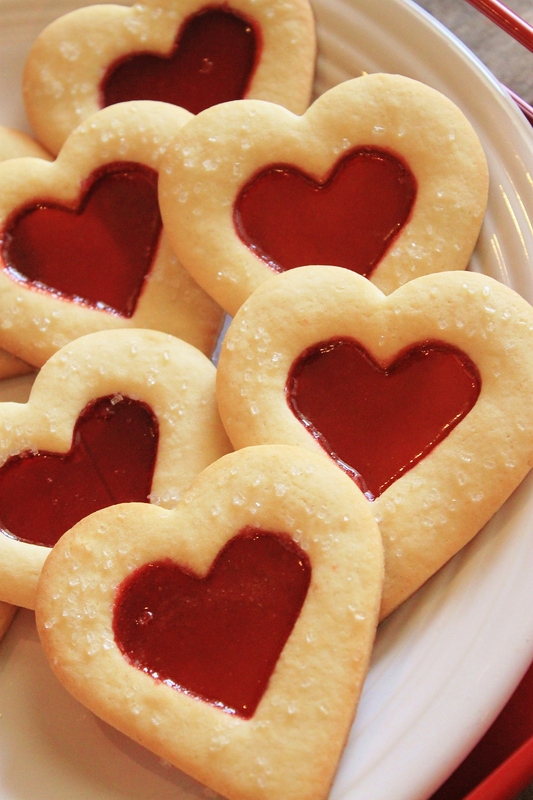 Because our cookies were a little thick, we watched them closely to make sure the lifesavers had melted completely and the cookies were just slightly brown. 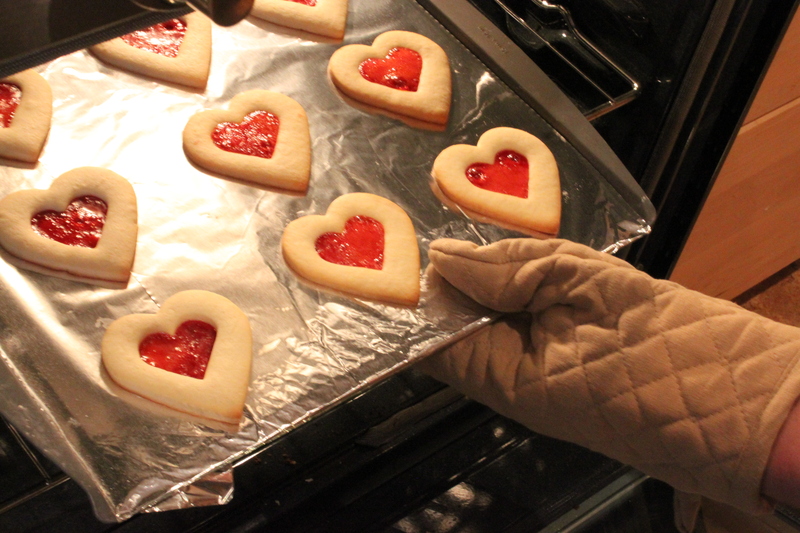 Here’s another important trick: Let the cookies cool completely on the foil covered sheets before removing. You will have to peel the candy part off the foil. Not all, but most of the lifesavers melted clear….like stained glass. These are beautiful. So does the center reharden like a lifesaver, or does it stay chewy? My cookie bag must already be in the mail, gurd!